Having never read anything by Hillary Manton Lodge, I was not certain what to expect. However, I was delighted how she took two of my loves and wove them together – reading and cooking. Hillary places wonderful recipes at the end of many of the chapters. It incorporated the reader with the story in a tangible way. I absolutely loved it and I look forward to trying my hand at several of the scrumptious recipes. The main character, Juliette, is from a large family with the love of food coursing through their veins, starting with her grandmother who was trained as a pastry chef in France. With her passing, Juliette has been willed her beautiful prep table. Inside she finds a treasure, her grandmother’s cookbook which contained her favorite recipes. As Juliette is closely examining the book she discovers a photo hidden behind the dust jacket. She is curious as to who this gentleman is or was and why her grandmother would have kept it a secret all these years. Besides delving into her family’s past, Juliette must deal with her present and look to the future. Will her future be in the restaurant business with her brother, Nico? Will she ever be able to get over the past and find true love? 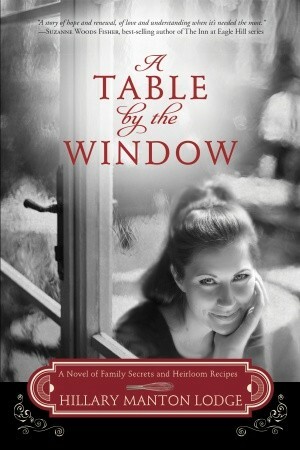 I will not spoil the ending for you because I highly recommend you putting A Table by the Window on your summer reading list. Here is a taste of this wonderful book. **Disclaimer: I received this book for free from Blogging for Books for this review. Looks interesting – thanks for reviewing!